Excellent fit nicely furnished 2 bedroom composed of: large living room for 2 front environments to the street, sofas 2:03 places, tv, dining table with 8 chairs, closet with cutlery, glasses, dishes and all utensils in general . Suite of the double with box in blindex, lavabo with granite countertop, bed closet and comfortable with mirror. Single room facing the street with private bathroom, 1 bunk bed and 2 beds with 1 bed under bunk, wardrobe and dresser with mirror. Bathroom, total there are 3 baths. Kitchen with table with granite top, stainless steel stove and refrigerator, cupboards for pots and all utensils. Service area with sink with granite countertops, closet for brooms buckets etc. Apartment facing the street, with indoor garage elevator. Ótimo apto. localização perfeita. Tudo muito limpinho. Muito próximo da praia, restaurantes, supermercados, padarias. D. Zélia muito atenciosa.Os porteiro super educados e prestativos.Recomendo e voltarei em uma próxima oportunidade. Marlene, obrigada pela avaliação. Espero poder atendê-la outra vez. Ótimo apartamento , limpo e organizado. Todos os cômodos possuem ventiladores de teto e há travesseiros novos para serem utilizados. O atendimento da Sra Zélia é perfeito, muito atenciosa e educada. Recomendo a estadia e pretendo voltar. 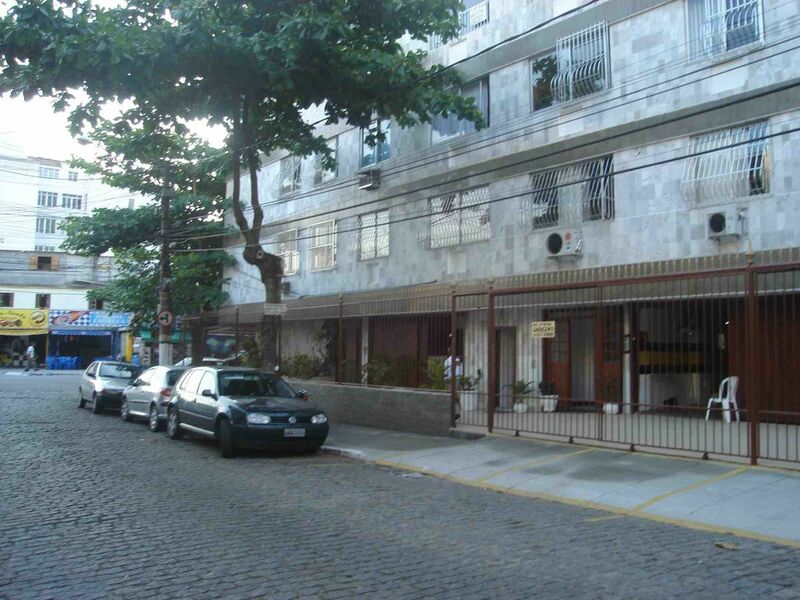 Located in the best area of ​​Praia do Forte 1 block behind the Malibu hotel. Close to restaurants, bars, ice cream shops, salon, American stores, super market, electronic toys, bakery, pharmacy and all commerce in general. Located 4 blocks from downtown Cabo Frio can enjoy tourist attractions, cinema, boating to meet several beaches and around Cabo Frio.